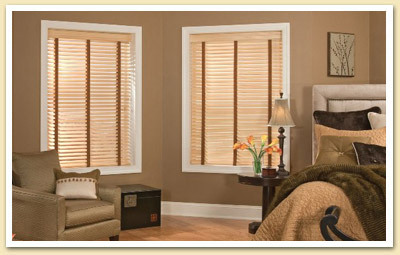 Faux or Poly Wood Blinds – Window Designs, Inc.
Faux wood blinds provide the look of real wood blinds at a very affordable price. Faux wood is made from a high quality polyvinyl material that is extremely durable, easy to clean, and resists warp. People will swear they are real wood blinds! UV inhibitors are used to protect the finish and provide for a lifetime of enjoyment, even in the sunniest of climates. 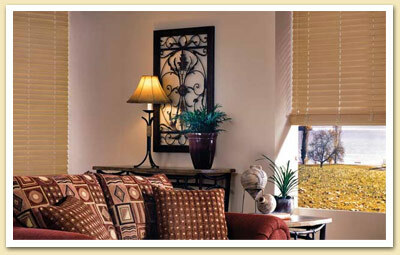 Resistance to moisture and heat make this blind perfect for areas with high humidity or extreme temperatures. 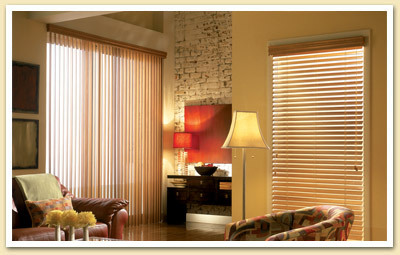 Faux wood blinds look great in any room and are especially well suited for bathrooms, kitchens, or kid’s playrooms. 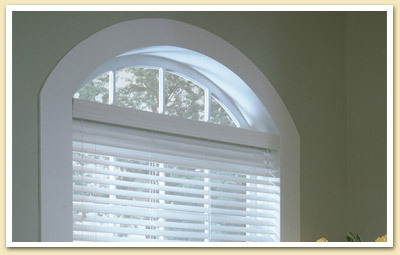 Available in 2” and 2.5” slats and a variety of colors and stains. All brands are available.